Serving Topeka and the surrounding area for over 47 years, Lower Plumbing, Heating and Air can handle all types of commercial HVAC needs. From a small mom and pop storefront to a large corporate store or factory, Lower is ready to help. Are you building your dream business? Have you worked hard all your life to get to the point where you can finally be your own boss? With all that effort put into this dream, of course, you want it done right. Lower is your go-to HVAC partner to create an HVAC plan and build it in your new business. Whether your business is brand new construction from the ground up or retrofitting an existing building, Lower can provide expert advice, planning, ductwork and installation of all your HVAC needs. Experience and knowledge count when it comes to commercial HVAC. Lower has both. They can recommend proper HVAC equipment sizing, optimal location planning and efficiency levels for any type of commercial building. There are many options these days when it comes to commercial HVAC equipment. Lower can help any business owner through the process of finding the right fit for their particular business and budget. HVAC options range from central air to older boiler units. Lower can help business owners weigh the option to repair or replacement and existing system and what that means for the long term. 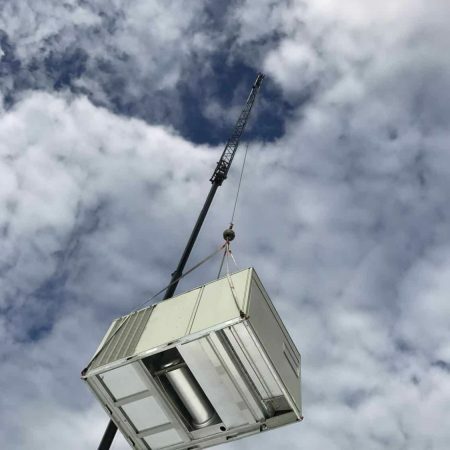 They can also install more modern and efficient options such as ductless, variable refrigerant flow and geothermal systems helping to save business owners money in the long run. These options allow companies to heat or cool individual rooms with or without ductwork and to be more environmentally conscious. Commercial HVAC needs are very different than residential. Lower can guide new business owners in the right direction for their specific needs. Lower has worked in conjunction with many large companies such as Home Depot, for installing and maintaining commercial HVAC systems. Large trucks, cranes and even helicopters have been used in these installation projects. In addition, local government has partnered with Lower to construct new HVAC and plumbing systems in their buildings. Farley Elementary School was a big project that Lower worked on from the very beginning all the way to the finished product. There is no job too big or too small. Call (785) 357-5123 to speak with the commercial HVAC experts at Lower today. They know how important your business is and how crucial it is to keep your doors open. Rely on Lower for all you need to know when it comes to commercial HVAC.